The Well-Read Redhead: February Minis: 3 for 3! February Minis: 3 for 3! Hello, readers! I know, I completely fell off the wagon with Book Blogger Appreciation Week halfway through. MY BAD. You know how my blogging is these days. However, I have been busy reading, and I've got 3 new mini-reviews for you...and all 3 are books that I thoroughly enjoyed. This is the latest pick from my MOMS Club book club. Right after I started reading it, my BFF Cari texted me to alert me that this is one of her top 5 books of ALL TIME! Quite the endorsement! And I have to say, I now completely understand why. I loooooved this novel. Book club is going to have a lot to discuss! This is the first time I've read Moriarty's work, and it won't be the last. The dialogue is lighthearted, but the core issues of this book are not. The ending is perfection, and guaranteed to leave you with so much to mull over. This novel is not even a little bit the predictable sappy love story that I feared it might be. Can't recommend this enough!! This book was recommended by ALL THE BLOGGERS. I saw it on a bunch of best-of lists for 2015, and finally decided to pick it up at the library. 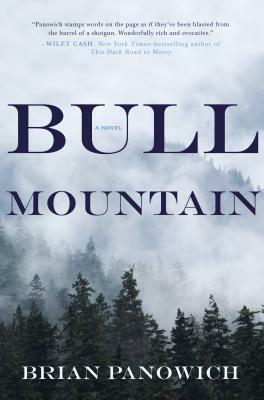 Synopsis: Clayton Burroughs is the sheriff on Bull Mountain in the woods of north Georgia. He also happens to be the youngest brother of the outlaw Burroughs clan, currently run by his oldest brother Halford. But Clayton is trying to be different--he's a man of the law, and determined to keep his family's criminal ways out of his life. And he's doing a pretty good job of it. Until ATF agent Simon Holly shows up at his door. I have to admit that I was skeptical of this one. Half crime thriller/half historical fiction, I didn't know if this would be a great fit for me. But let me tell you, I was glued from page one. I even skipped a yoga practice to wake up early one morning and finish it!! :) The way Panowich makes this story unfold is absolutely brilliant. Even if I guessed at some of the twists before they happened, I didn't care, because Panowich has such a way with words that he made them feel surprising anyway. Complex characters, gripping conclusion--yup, this has it all. Read it! Have to throw in my latest running read! 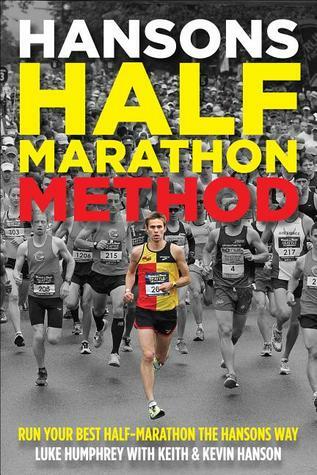 Since I am doing so many 13.1s this year, I've been enjoying reading about different training methods for the distance. I heard amazing things about Hansons, so I had to pick this one up. Full disclosure: when I first got the book, I immediately flipped to the training programs. I took one look at these intense 6-day-a-week plans and said NOPE. Not for me. I put the book down and decided I'd save this one for a time in my life when I had more availability for such an involved program. Then I got the notice that the book was due back to the library...and decided maybe I should at least read it first. So I renewed it. And I started reading. And now I am a BELIEVER! While I still think this is not the right time for me to follow a Hansons plan, I am 100% on board with their methodology, and I feel like I learned SO much more about the hows and whys of the training process. Hansons plans are based in well-researched exercise science, and reading through them gave me a wealth of helpful new running information, even as I follow a different training calendar. Absolutely a valuable read for anyone serious about the 13.1 distance, even if you're not going to use one of their plans. I'm hoping to try one out when I have more time to dedicate to it. What are your current reads? Any good book club picks? What's the last thing you read and loved because of a recommendation from a friend? What Alice Forgot and Bull Mountain aren't books I would normally pick up off the shelf, but you make them sound irresistible! I will certainly check them out. And thanks again for participating in my BBAW interview. There are a couple of new comments waiting for you in case you want to have a look. Liane Moriarty's books are so DAMN GOOD! I haven't picked up the one you mentioned - but it will be read by the rest of the year. I hope you read her other books too - I think you'd like them. I can't imagine running 6 days a week right now either. Heck - I still struggle to run consistently. How many halfs are you running this year? I've had The Husband's Secret on my Kindle for ages now, I can't wait to get to it now that I've loved this other book of hers. 3 halfs this year (one was in January, next is April, then July)...my first full in September! 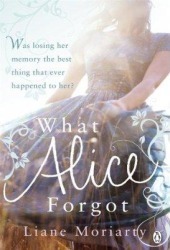 What Alice Forgot sounds really interesting. I tend to like books that play with perception and time like this one seems to. Such works have a lot of potential to explore human emotions as well as the ways that our lives progress. Agreed! That's a perfect way to explain it. In the end, so much of the book centers on whether Alice will try to go back to her "old" self...and is her old self really better? Is hindsight really a good thing in such a scenario? Love all the questions that were raised. I'm so glad you loved Bull Mountain! That one kept me up late at night trying to finish it! I'm one of the few people that does not get along with Liane Moriarty's books (I can't stand all the mommy politics)...but, of the 3 I tried, What Alice Forgot was the one I liked best! Finally - 6 day intensive training plan does not sound up my alley either....doesn't sound like it's made for mommies with young children :) But, glad you learned a bunch of stuff from it. You should write a post with all your tidbits....so I can check them out without reading the book - ha!! Good to know about the mommy politics. I'd say that probably was a weaker point in this book (the SAHM stereotypes were overdone), though the rest of it was good enough for me that I didn't think to complain until you mentioned it. ;) Interested to see how they play out in other books though. I will gladly share some of the Hansons tidbits! I've been trying to put together a post that combines a bunch of running-related wisdom I've learned lately, if I ever get it drafted then this book will certainly be included. Made it on your blog!! Woop woop! So happy you loved it! Hugs! I loved Bull Mountain. As in couldn't put it down loved! I do love Liane Moriarty, so I'm anxious to read her book too. Thanks for these reviews! Another Bull Mountain lover! The funny thing is, I haven't heard much about this book beyond the blogosphere. It's quite the unsung hero. I don't think I have seen a bad review for What Alice Thought yet. I hope you have a good book club discussion! I will have to look in to What Alice Thought. I haven't had much time to read recently but it's always nice to have a go-to list. Yes, I think you will love it! I can't wait to try her other work. Book Blogger Appreciation Week: Day 1!